Welcome to the Riverside and Inland Empire Society of the Archaeological Institute of America! The AIA Riverside and the Inland Empire Society strives to implement the mission of the AIA in the Inland Empire of Southern California by supporting archaeological research and fieldwork, educating peers, students, and the interested public about archaeology, and advocating for the preservation of archaeological sites around the world as part of our shared cultural heritage. 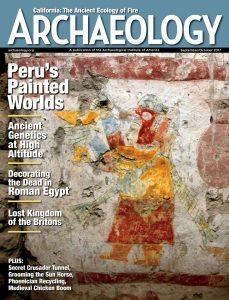 Get a subscription to Archaeology magazine when you join the AIA!